You Can Eat My DIRT: Flying and Crawling BUGS! Diatomaceous Earth is a natural, organic insect killer. Diatomaceous Earth kills by physical action and not by chemical so there is NO harm to pets or humans. The tiny hard and sharp diatoms scratch off the insects waxy coating, causing it to dehydrate. Use Diatomaceous Earth for control of roaches, silverfish, ants, fire ants, bedbugs, lice, mites, spiders, earwigs, flies, fleas, box elder bugs, crabs(std), Pubic and hair Lice, scorpions, crickets, and many other insects. 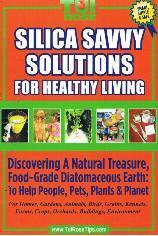 Diatomaceous Earth can be used in and around the home, yard, animal housing, etc. Sprinkle a 2 inch wide border around the foundation of your house to prevent insects from entering. Diatomaceous Earth will not harm earthworms or beneficial soil microorganisms. All over the United States we are seeing an outbreak of bedbugs. DE will not only kill the bedbugs you have, but will do it safely without chemicals. Remember-bed bugs cannot fly, so make sure bed is away from the wall and there is no bedding touching the floor. Surround each of the 4 legs of the bed with DE–this will kill them as they try to get on the bed the only way possible. Dust some DE on the matress and bedding–especially in the creases. Dust DE in the carpets and in corners of room. Remove electrical outlet covers and puff some DE inside the walls. The “Pest Pistol” works great for this. Keep this routine up for several days untill no more bed bugs. Pubic Lice(Crabs) and Hair Lice: Dust Diatomaceous Earth on all areas of the body that are infested with the Lice (Crabs). Dust your bedding and rooms you have been in with DE also. For control of aphids, white fly, beetles, loopers, mites, snails, slugs, leaf hoppers, and others, use Diatomaceous Earth inside your home, greenhouse or outdoors on fruits, vegetables, flowers, grains and grass, up to and including day of harvest. For dry application of Diatomaceous Earth use a duster and cover entire plant, apply to both top and bottom of leaf. For young plants, as little as two pounds per acre may be adequate. For larger plants, five lbs. per acre is probably sufficient. Diatomaceous Earth will need reapplication after a rain. Applies best when there is dew or after a light rain. It is a long lasting, effective powder. The insects can not build up resistance. DE can be sprayed or whitewashed by mixing 1 cup DE with 1/2 Gallon of water. Stir frequently and spray/paint trees, yards, and fences. Diatomaceous Earth will not harm earthworms or beneficial soil microorganisms. Wear a dust mask when applying large amounts of it. Just add 7-10 lbs. of Diatomaceous Earth to each ton of grain as it is conveyed into the storage. When added to grain, it not only makes it flow better, Diatomaceous Earth kills the bugs that are present and protects the grain from further invasions. Bugs can not become immune because they are killed by physical action, not chemical. I would like to know if DE works on wasps? They build nests in my birdhouses. PS I do dust the nestboxes occasionally to help the birds with mite infestation. To kill them, the wasps do have to come in contact with the powder. DE is a big help to your birds as well. I AM FROM SOUTH AFRICA AND WE CAN ALSO GET DE HERE.WE ALL DRINK A TEASPOON OR TWO IN A GLASS OF WATER DAILY.IT IS AN EXTREMELY BENEFICIAL PRODUCT TO YOUR HEALTH.DE WILL CLEAN YOUR BODY IN A JIFFY.THE INTESTINES ARE LITERALLY SCRAPED CLEAN-ANY FOOD THAT PACKS ONTO THE INSIDE OF THE INTESTINES ARE REMOVED.IF YOU STRUGGLE WITH CONSTIPATION,DRINK THIS EVERY DAY,YOU WILL NEVER HAVE A PROBLEM AGAIN.THIS PRODUCT IS SO CHEAP TO BUY HERE-WE BUY A 20KG BAG HERE AND IT LASTS US MORE THAN 2 YEARS!! GO ONTO THE INTERNET AND GO AND CHECK WHAT IT IS ALL USED FOR!! IT IS VERY SAFE TO USE,BUY THE FOOD GRADE ONE AND STORE IT IN FOOD GRADE BUCKETS THAT SEALS WELL.WE THREW OUR ENTIRE 20KG OUT IN THESE BUCKETS.I EVEN USE IT ALL OVER IN THE GARDEN FOR APHIDS AND ANTS ETC.OUR FARMERS HERE USE IT,WHEN THEY STORE THEIR WHEAT IN BETWEEN THE WHEAT SO NO BUGS GET INTO IT.I USE IT INSIDE MY FOOD CUPBOARDS TOO,SO BUGS ARE NOT GETTING INTO MY PACKET ITEMS.WHEN USING IN GARDEN USE GLOVES.SPRAY PLANTS WET,THEN APPLY DE ALL OVER THE PLANT-IT WILL NOW STICK TO THE PLANT AND COVER THE BUGS AND THIS PRODUCT WILL DRY OUT THE BUGS AND THEY DIE ,BUT IS GOOD FOR THE PLANT.APPLY IT DAILY TO THE PLANT UNTIL ALL BUGS ARE GONE-IT IS A NATURAL PRODUCT TO BE USED ALL OVER,WILL NOT KILL ANY PLANT-ONLY BUGS,ANTS APHIDS.DONT BUY CHEMICALS WHICH ARE HARMFUL TO USE-THIS IS CHEAP TO USE.CANCER PASIENTS CAN EVEN USE IT.WHEN USING OVER BIG AREA ,JUST WEAR A DUST MASK TOO.MAKE A PRINT OUT TO KEEP SO YOU KNOW FOR WHAT YOU CAN USE IT ALL-DRINK IT EVERY DAY.IN WINTER WE THROW OUR VIT C POWDER WITH DE IN A GLASS AND DRINK THE WHOLE BANG LOT-TASTES NICE WITH VIT C.ON ITS OWN SOME DONT LIKE THE TASTE THOUGH,BUT DRINK IT-BECAUSE ITS VERY VERY GOOD FOR YOU. !SPENDING SO MUCH MONEY ON YOUR MEDICAL ITEMS AT A PHARMACY IS NOT NECESSARY,THOSE PRODUCTS COST A FORTUNE,FIND OUT HOW MUCH DE-FOOD GRADE COST IN YOUR AREA.OH!! ALMOST FORGOT-WE BOUGHT OUR BAG AT A HORSE FARM-BECAUSE THEY GIVE IT TO THEIR HORSES,MIXED WITH THE WATER AND THEY ALSO RUB IT INTO THEIR COATS FOR THE FLEES,AND IT ALSO KEEPS FLIES AWAY FROM THEIR BODIES TOO.WE ALSO RUB IT INTO OUR TWO JACK RUSSELS COATS AFTER WE BATH THEM ONCE A WEEK-WHICH SAVES US TONS MONEY TO BUY FLEE PRODUCTS.DO RESEARCH ON THIS WONDERFUL PRODUCT AND GET YOURSELF SOME. 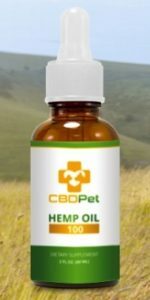 Can it be used directly on a dog or cat for flea control? Yes…. you don’t need to use lots of it… but you do have to get it down to the skin where the fleas are. So after you have sprinkled it on… rub it into the fur so it gets down into the skin… or brush/comb it down to the skin. It works to kill fleas when it comes in contact with them.